Download the Ocean Rafting Fly and Raft brochure in English and Chinese. 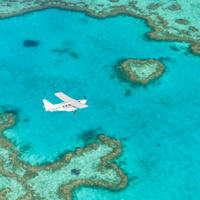 For stunning aerial views of the Whitsundays without the Ocean Rafting component, 60 minute scenic flights over the Whitsunday Islands and Great Barrier Reef, including Heart Reef, Whitehaven Beach and Hill Inlet are available. 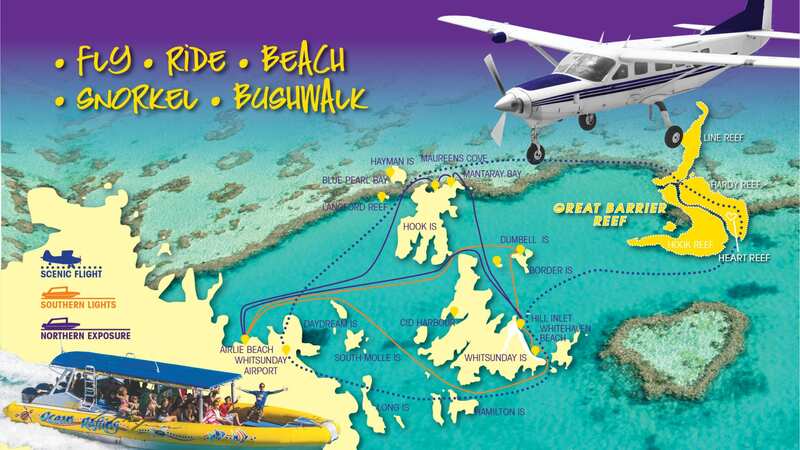 Visit the Scenic Flights page for more information. PLEASE NOTE: Full names and exact weights per passenger must be advised when booking due to flight weight availability. 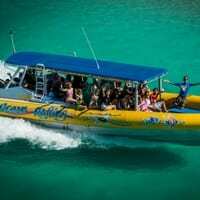 *The Fly and Cruise tour departs from the mainland. This package is unfortunately not available for guests of Long Island, Hamilton Island, Hayman Island or Daydream Island. **Please note: The above tour itineraries are a guideline only and are subject to change depending on tide, wind and other weather conditions. 100% cancellation fee applies for cancellations after midday the day prior. 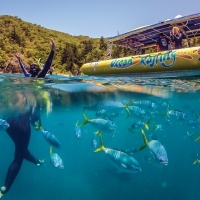 Please call Ocean Rafting 48 hours prior to departure on 07 4946 6848 to reconfirm booking and pick up time. 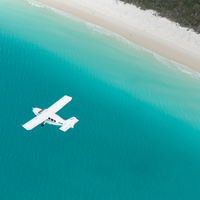 For bookings within 24 hours of departure please call (07) 4946 6848. 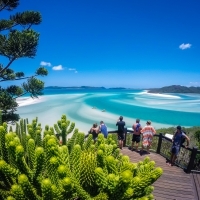 ***The fly component of the Fly and Raft tour is operated by Whitsunday Air Services Pty Ltd AOC# 1-KPVQ0 -06, a licensed and certified Civil Aviation Safety Authority (CASA) carrier. 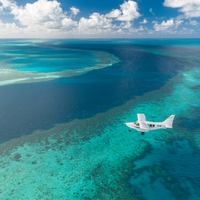 Departs/Returns: Scenic flight departs: 7.00am (Northern) or 8.30am (Southern), Ocean Rafting departs Airlie Beach: 8.45am (Northern) or 10.00am (Southern)/Scenic flight returns: 8.00am (Northern) or 9.30am (Southern), Ocean Rafting returns to Airlie Beach: 3.30pm (Northern) or 4.30pm (Southern). Timings will be confirmed upon booking.